It is with very great pleasure that we are writing to inform you of the imminent publication - within 2-3 weeks - of the fourth volume in the Lufwaffe Gallery 'special' series. 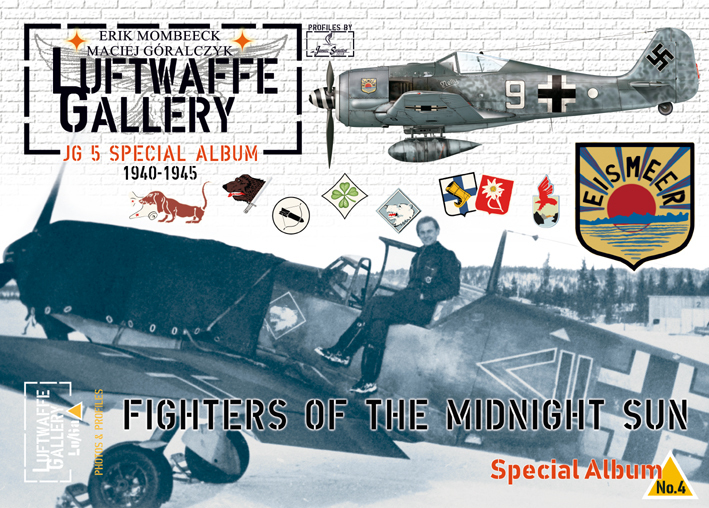 This new volume is devoted to JG 5 'FIGHTERS OF THE MIDNIGHT SUN'. Nothing predestined young German fighter pilots to fly and fight among the grandiose landscapes of Norway, Finland or Lapland with their hostile climates. Many of them would find their last resting places in the storm-tossed icy waters of the Arctic Sea or the snow-covered plains of the tundra. Who even now knows that the defeat of the Wehrmacht was precipitated by the failure to conquer Europe’s northern-most small territory? 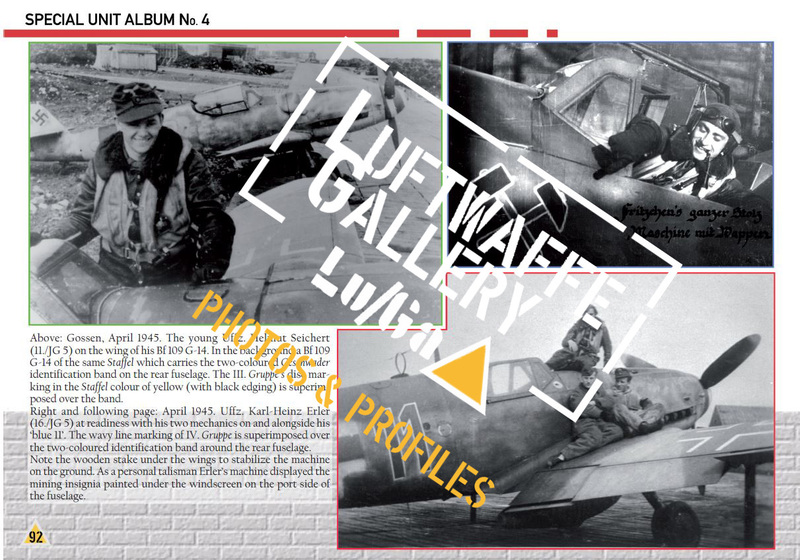 This latest Luftwaffe Gallery ‘special issue’ highlights the story of this fighter Geschwader and its numerous aces through rare and newly translated first person accounts, many previously unpublished photos and specially commissioned artworks. If you have any interest in acquiring this volume, drop us a message and let us know and we'll get in touch as soon as the books arrive from the printer - no need to send any payment yet. Like our previous volumes dedicated to JG 77 ('Fighting on every front'), JG 54 ('The Green Hearts') and JG 26 ('The Abbeville Boys') - which sold out in a matter of months and has now been revised and reissued - our latest book features 96 landscape A-4 pages and is illustrated with 32 superb artworks and some 240 photos, many previously unpublished. The text includes detailed photo captions and many specially translated first person accounts from Geschwader veterans. 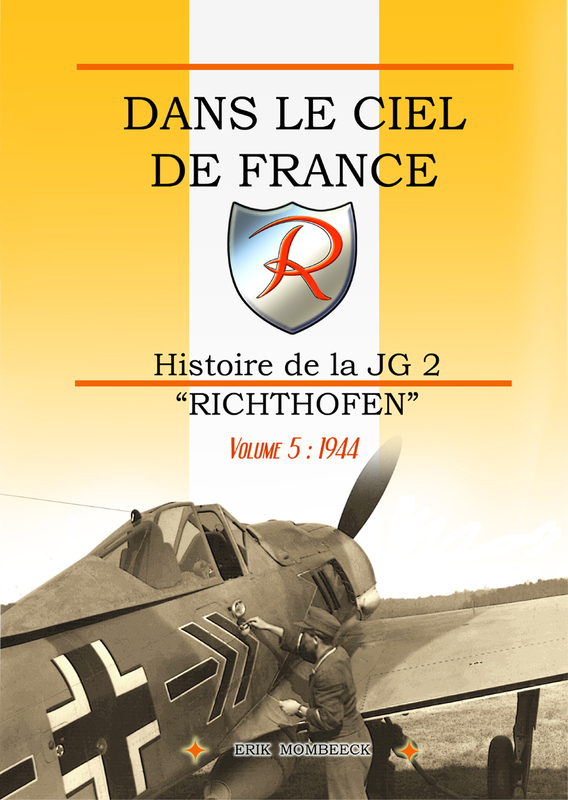 Published at the same time is volume 5 of the day-by-day chronicle of JG 2: "Dans le Ciel de France - Histoire de la JG 2 "Richthofen". This latest volume covers in detail the history of the "Richthofen" from 1 January 1944 until its definitive withdrawal from French territory in late August. This period was marked by heavy, bitter and deadly combat as the Allies softened up the defenders ahead of the landings in Normandy. Heavily outnumbered, the tenacity of the Luftwaffe pilots was no longer sufficient to defend the skies of occupied France. Losses on both sides were considerable - none more so than in JG 2. In the space of just a few months the Geschwader lost two Kommodoren and two Kommandeure, who together had posted combined victory claims around the 400 mark. 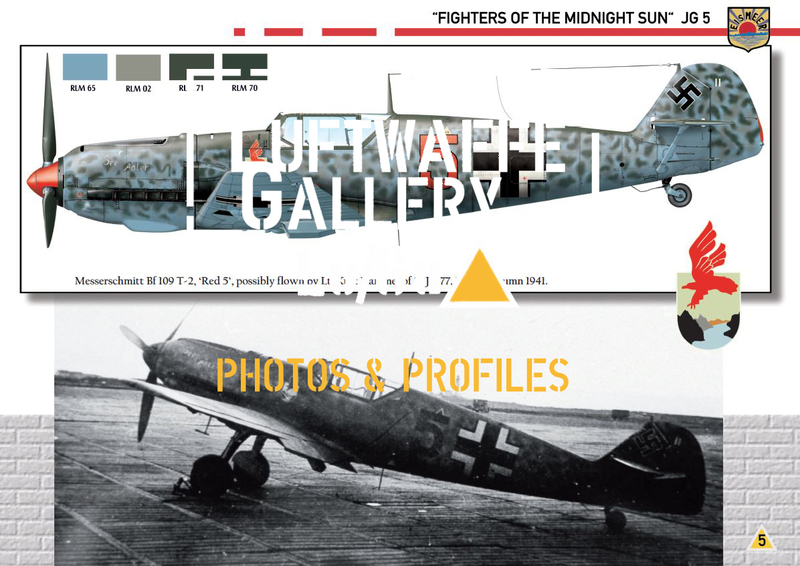 The chapter covering JG 2's defensive battles on the D-Day landing front reveals that the "Richthofen" were particularly active there from 6 June 1944. 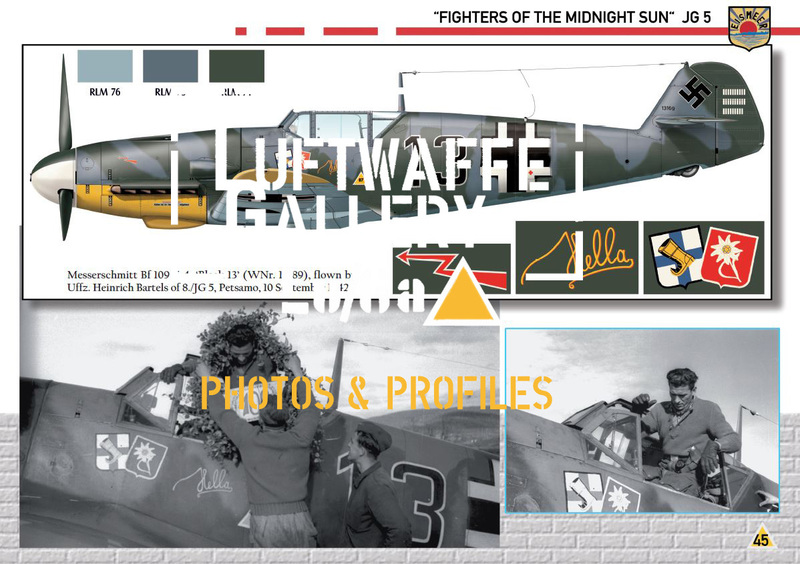 More can be found on the Luftwaffe Gallery FB page. Looks great, look forward to it. I like the addition of listing the paint codes the artist used. I just received the last volume on the chronology of JG2. Like the others issues the author Erik Mombeeck has produced a major book on this unit. The vol. 5 covers 1944 from january to 01/09/1944. The following and last vol. will cover the end of 1944 and of course 1945. There are any surprise because the book offers many first testimonies put with the day-by-day history. All the photos (only B&W and any profiles) are put on one page and are not cut and printed on two pages. The annexes give the losses, two maps and index of names. I just got my copies of both books. Just incredible what Erik was able to find on JG 2 in 1944: amazing photos and great accounts. Thanks Erik. The JG 5 book is just bluffing. His new profile artist Janusz keeps the high standards showed by Thierry Dekker, apparently now retired. My copy of the JG-5 book has just arrived and it is as you would expect from Erik - full of interesting photos, informative narrative and quality colour profiles. 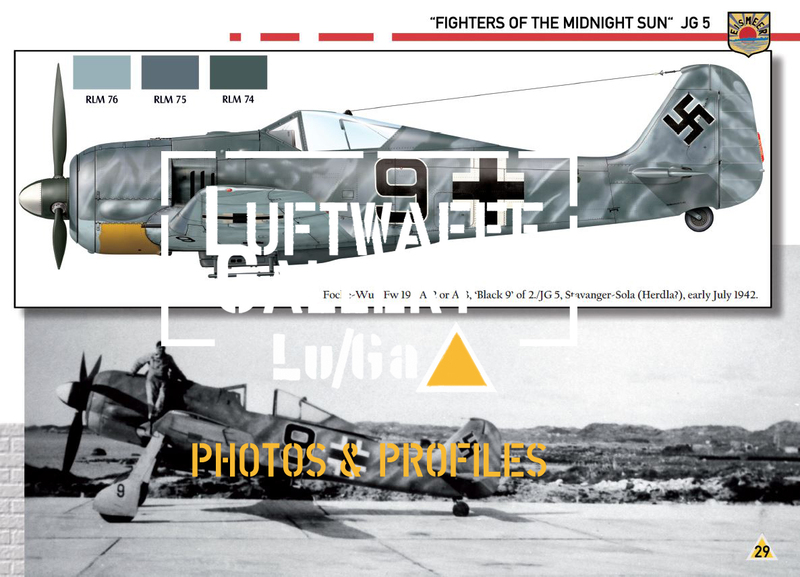 The LuGa series is up there along with the Luftwaffe in Focus series as being a must have. I received last week the volume 5 on the JG2 "Richthofen": it is like the previous volumes .... superb! The stories of the hard fighting of 1944 are fascinating with beautiful photos. A fabulous work on history that has the first place in all libraries of aviation enthusiasts.